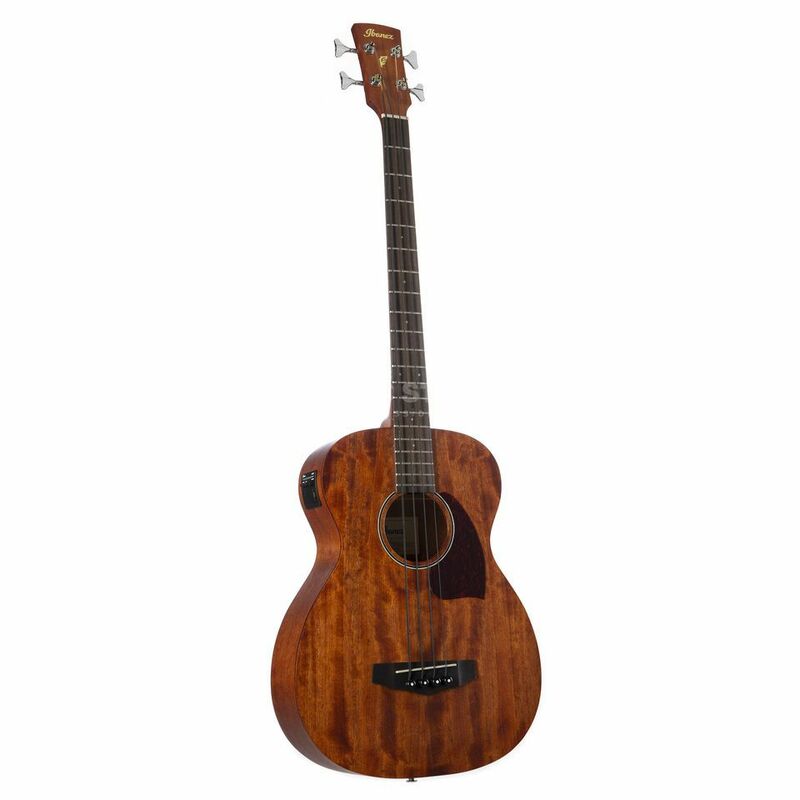 The Ibanez PCBE12MH in Open Pore Natural is a Grand Concert bodied 4-string electro acoustic bass guitar that built to the same exacting standards as the brands award-wining electric models. The Ibanez PCBE12MH features an all-Mahogany body that produces an organic tone with a pleasing emphasis towards the mid-range frequencies. The top and back of the body are both fitted with X-pattern bracing that adds a level of stiffness to it without altering the resonant properties of the wood. The completed body is joined by a 32”-scale Mahogany neck that is topped by a 20-fret Rosewood fingerboard. Finishing off the Ibanez PCBE12MG 4-string electro acoustic bass guitar an Ibanez-designed under saddle pickup and AEQ202T preamp with on-board tuner, a set of chrome die-cast tuners and a Rosewood bridge.